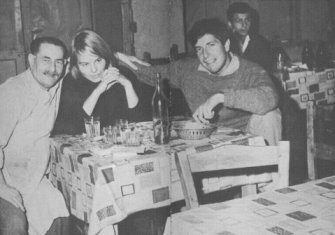 On September 27, 1960, six days after his twenty-sixth birthday, Cohen bought a house in Hydra for $1500, using a bequest from his recently deceased grandmother. This was a "big deal" in the words of one of his friends, a commitment to place and a world that was mysterious and unusual. Buying the house was a complicated act, needing the assistance of his friend Demetri Gassoumis as translator, adviser, and witness to the deed. Cohen later said that it was the smartest decision he ever made. 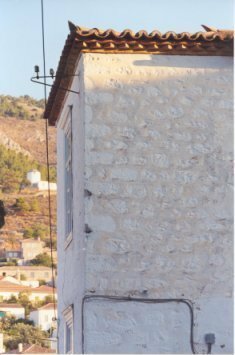 The tree-story, ancient whitewashed building, with its five rooms on several levels, was run down and had no electricity, plumbing or running water. Yet it was a private space where he could work, either on the large riled terrace or in his music room on the third floor. It has a huge terrace with a view of dramatic mountain and shining white houses. The rooms are large and cool with deep windows set in thick walls. I suppose it's about 200 years old and many generations of sea-.men must have lived here. I will do a little work on it every year and in a few years it will be a mansion... I live on a hill and life has been going on here exactly the same for hundreds of years. All through the day you hear the calls of the street vendors and they are really rather musical... I get up around 7 generally and work till about noon. Early morning is coolest and therefore best, but I love the heat anyhow, especially when the Aegean Sea is 10 minutes from my door. It was a place of solitude, of plodding donkeys (even today no cars are allowed on the island; nor would they get very far if they were), cold water and kerosene lamps. 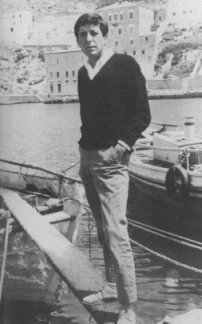 In such primitive surroundings, amid the stunning beauties of the island and the glories of the Aegean, where fishermen still wrested a living from the sea and ferries scrabbled one from the land, Leonard found his peace, his sitting-down time, as he called it, where he could -as all pots must - recollect in tranquillity. Here he could live in virtually complete seclusion, at a fraction of the cost it would take in Northern Europe or Canada, where the people were unconcerned as to who you were or what you diod; And where breathtaking vistas opened up for the seeing - both external and internal. 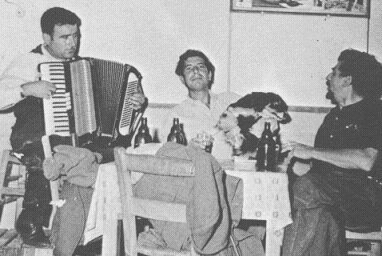 Here Leonard discovered the Greek way of life - its alternating rhythms of work and leisure, both on the seasonal and daily basis, which are so conductive to creative thought and achievement. Here he was able to stand back from the onrush of western man and ask himself the real questions of life and meaning, get his young life, full and successful as it had been, into perspective. 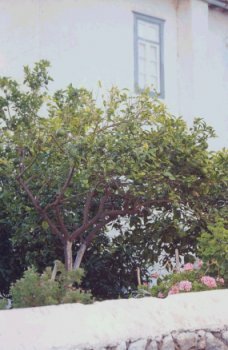 Here he began to crystallize the wisdom of some of his best poetry, writing and songs, (or it was here that he was reborn, where he truly began to find himself, where not least, the music of Greece entered his soul, evoking earlier memories and melodies, combining with them to suggest a new style, a new mystique. (1) from the book Prophet of the Heart by Loranne S. Dorman & Clive L. Rawlins. 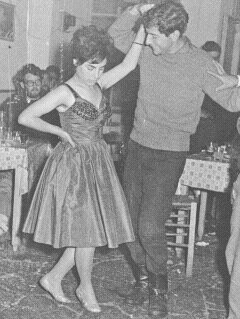 (2) from the book Various Positions by Ira B. Nadel. © 1985 and 1993 by Leonard Cohen. Reprinted by permission. 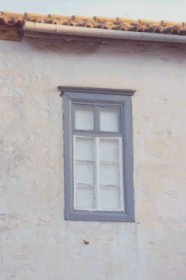 Photos of Leonard Cohen's house © 1998 by Henry Denander, Sweden. Used by permission. Songs of Leonard Cohen, except the harbour photo taken from Nadel's book.